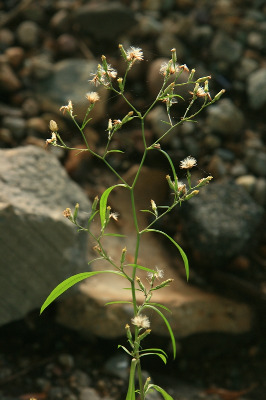 Aster subulatus of Michigan Flora. This is a coastal halophyte introduced into Michigan and now thriving along well-salted highways, where it will doubtless continue to expand its range. First collected in 1914 in Wayne Co.
MICHIGAN FLORA ONLINE. A. A. Reznicek, E. G. Voss, & B. S. Walters. February 2011. University of Michigan. Web. 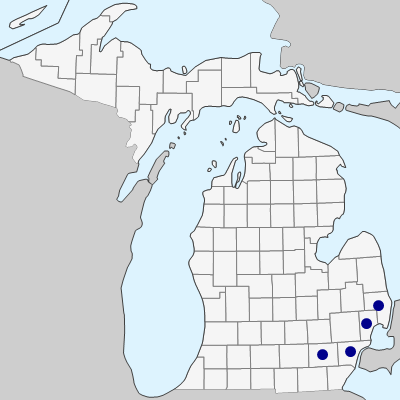 April 21, 2019. https://michiganflora.net/species.aspx?id=496.